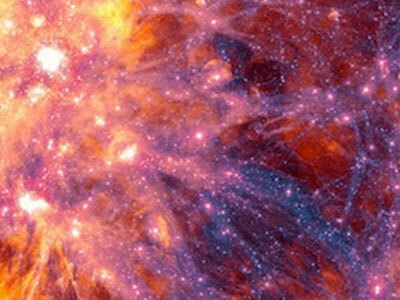 Illustris is a major cosmological simulation of the universe from the very beginning: the Big Bang. Illustris recreates the cosmic web of galaxies including large-scale features such as galaxy clusters, and small-scale features such as chemical composition and physical content. 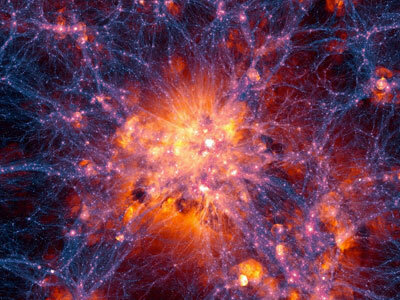 Illustris models normal and dark matter using 12 billion 3D pixels and acts as a "time machine", allowing the investigator to track how the filamentary clustering of matter develops over time.